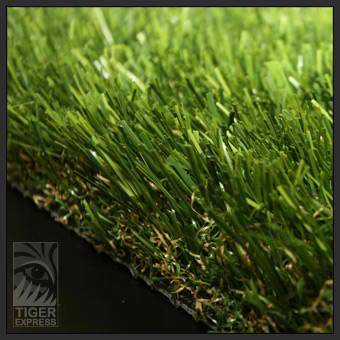 The Sierra Series of turf products are the newest addition to our synthetic turf product line. It’s most notable feature is obviously the brown thatch which gives it such a realistic and natural look. Sierra Pro is the perfect fit for any landscape. Sierra Pro artificial turf will stand up to moderate traffic areas and stay looking great! • Pile Height: 1.0 in.